ZOLA Software that will capture changed made to the driver manager in Windows operating system. operation and without any end user interaction. a specific domain, manually selecting, or from a single host / IP. software remotely from remote hosts. All operation is silent and without end user interactions. The product also comes with a built-in deployment module where you can remotely deploy or uninstall available ‘Projects’ files and registry data that where captured. a silent mode operation and is without any end user interactions. Windows 7/8/10 and Windows Servers editions for both x86 and x64 bits.
) capabilities and will lead to more success msi repackage installations for your enterprise networks. your SSCM, Group Policy (GPO) and any other remote software deployment utilities that support msi installations. 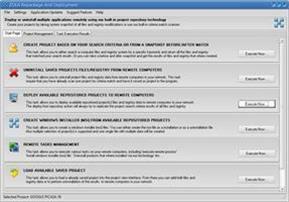 Repackage easy to complex software installations that requires a service or driver installations. The built-in snapshot engine supports capturing files and registry systems during modifications of locked files and keys. Convert any existing software installations that requires a reboot after executing the setup installation. 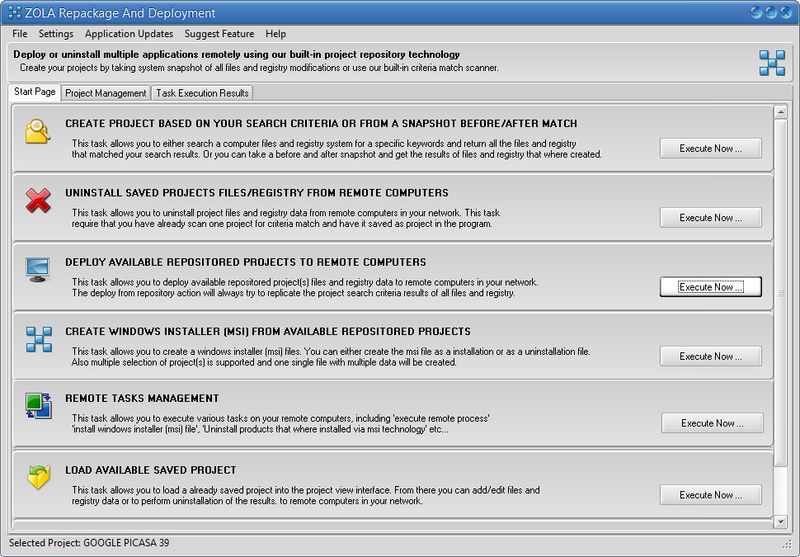 Create both install and uninstallation msi packages from the same monitored project. that can be used to uninstall software products from remote computers in a silent mode operation.